Student Life at the University of Georgia ensures that students get the most out of college experience on a personal and academic level. It provides a supportive learning environment, motivates intellectually and provides opportunities for personal and professional growth through availability of trainings and career support services. UG student have an opportunity to apply learning beyond the classroom through multiple life experiences, network among field practitioners, attend special events and meet incredible people, all in all generating once-in-a-lifetime opportunities. 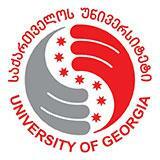 The University of Georgia offers an innovative approach to student life, whereby students are encouraged to unite around a common interest to come up with and receive funding for creative projects that contribute to availability of various social, cultural as well as adventurous and unforgettable activities - making UG reputable for well organized, exciting and memorable student live.